"The Weekend Rent offers quick-hit suggestions of what to watch at home to get psyched for new releases in theaters, on Friday." 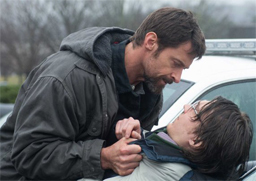 The fall movie season kicks off this weekend with Prisoners, which stars Hugh Jackman as a father who will go to extreme lengths to find the truth behind his daughter's kidnapping and Jake Gyllenhaal as a cop tasked with finding the little girl before Jackman takes the law into his own hands. The movie is packed with drama, tears, parental worry, parental outrage… and enough red herrings to open a fish market. Yes, there are a bunch of characters crawling around in the periphery that scream "suspect," but the real culprit is hiding in plain sight. When a herring is smoked, it takes on a red color and has a unique, pungent stench. The movie red herring is equally fishy—it's always a character meant to throw the audience off the scent of the real perpetrator. Here are some of our favorite movie red herrings you can catch and throw back before you reel in Prisoners in theaters. Aliens: Remember what Ripley (Sigourney Weaver) went through with the android Ash (Ian Holm) in the original Alien? That makes us and Ripley immediately suspicious of the android Bishop (Lance Henrikson), who accompanies Ripley and the Marines on the mission back to LV-426. It turns out that Bishop isn't the one who wants a xenomorph for study. Kindergarten Cop: John Kimbel (Arnold Schwarzenegger) is a cop working undercover as a teacher that is trying to flush out a killer searching for his estranged wife and son. Kimbel doesn't know what the child looks like, but he suspects a boy in his class who has bruises that he says he got by falling down might be the boy he's looking for. Flightplan: Kyle Pratt (Jodie Foster) falls asleep on a plane and when she wakes up not only is her daughter missing, but no one remembers her daughter being on board. Kyle suspects everyone from the pilot (Sean Bean, who up to this point in his career was usually a villain) to a stone-faced ethnic passenger (terrorist?! 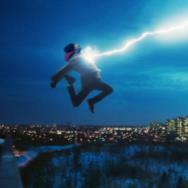 ), but the truth is a larger conspiracy for which the red herrings serve as a smokescreen. Gothika: Halle Berry plays a psychiatrist who wakes up one day on the other side of the bars in a mental hospital, accused of murdering her husband. 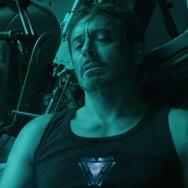 One critic joked that Robert Downey Jr.'s character should have been named "Red Herring" because it's so apparent that is what he was. The Bodyguard: Rachel Marron (Whitney Houston) is a famous singer being threatened by an unknown triggerman and Kevin Costner plays her bodyguard. Throughout the movie we see an overzealous fan who appears to be stalking the singer, but he's not the one trying to gun her down. The Da Vinci Code: Throughout the book and the movie, we're led to believe that Bishop Aringarosa (Alfred Molina) is the central figure in a Vatican cover-up. His presence throws us off the track of the true conspirators, and the character's name itself is a clue. "Aringarosa" roughly translates to mean something like "red herring" in Italian. Scream and Scream 2: The testimony of Sidney Prescott (Neve Campbell) sent Cotton Weary (Live Schreiber) to jail and put him on death row for the murder of her mother. Although Cotton is a shifty, fame-hungry character and pretty suspicious, he's not a Ghostface slasher. 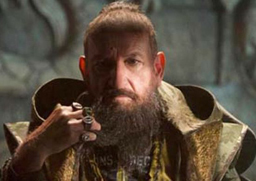 Iron Man 3: Ben Kingsley is shown to the world as the terrorist mastermind the Mandarin. But who is he really? 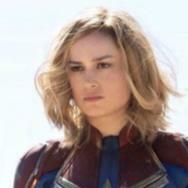 Marvel rattled the nerves of inflexible fanboys with this one. Clue: The cult favorite inspired by the board game was shot with three different endings, and in all three of them it is revealed that "communism was just a red herring." All the movies listed above are available on DVD and/or Blu-ray as well as various VOD services (Iron Man 3 is currently only available on VOD. It is released on disc next week). What are your favorite movie red herrings? Sound off below.